Exercise your right to like good films. Vote for “Old Radicals” for the Audience Award! If we win the audience choice award we will get more exposure for the film by being featured on the front page of the Doc Challenge website. Additionally we will receive a free registration in the 2011 Doc Challenge and will be automatically included in the next “Best of the Doc Challenge” DVD. Vote Now! Originally intended as Nazi propaganda, this footage shown nearly in its entirety, is a chilling and sobering look at the infamous Jewish ghetto of Warsaw. Yael Hersonski takes recovered rolls of German film and investigates the reality behind the carefully orchestrated scenes flickering in front of us. Well-dressed women shop in well-stocked markets, plentiful tables are laid out in upscale restaurants, audiences laugh heartily at actors in a theatre… But the markets were stocked for the cameras, the restaurants forced to serve all they had, and the happy audience held all day long with no food or opportunities to use the restroom, instructed to laugh at designated times or risk harsh repercussions. The cinematographer handles the problem of filming “non-action” in clever ways, reminiscent of “Fog of War.” Quiet, roaming shots of the archives where the film was found and close shots of the interviewee’s hands and eyes, create a visual element in spite of having little action to view. Containing interviews with survivors and intriguingly, one of the cameramen, this investigation on film of another film is haunting, engaging, and extremely well-crafted. This may be the most intimate documentary you’ll ever see. Chemo documents the patients in a Polish chemotherapy ward. Except for a handful of establishing shots of the outside of the building, the entire film is close-ups. Close-ups of elderly women discussing the virtues of wigs versus scarves, of a teenage boy voicing his fears to his mother of what his classmates might think, of a young man speaking to his fiancee over the phone, a mother sharing a picture of her toddler. And through it all, the constant glance up as the patients watch the IV drip away off screen, filling their veins with a mixture of hope and despair. The dialogue between patients cuts through all insignificance. Through fears voiced and hinted at, we watch this film with the sense that time is quickly ticking away for them. Yet, in that great demonstration of human resilience, there are laugh-out-loud moments as they banter about issues of life and death. The style is unique and captivating, and the subject matter is weighty. This is not a film that is greated with a roaring applause at the end. The audience sits, quietly wrestling with their own mortality and their own personal stories of tragedy. Then, slowly, with a depth and heavy sincerity, we clap for a truly powerful film. That said, I do believe anyone would enjoy this film, especially if you have an interest in cuisine. Ernesto Cabellos (whose previous film, Tambogrande, documented a Peruvian village’s struggle against the injustices of a gold mine) has given us a mouth-watering tour of the Peruvian table. With an introduction that pairs his own thoughts on food and culture with a montage of a variety of dishes from around the country, the film dives into Peru’s people with one element that he claims holds them together. It’s not soccer, music, and definitely not politics. It’s the food. Though the plates are presented as the protagonists, we do become drawn into several of the people behind the dishes. A group of Lima’s best chefs around a table engage in a lively discussion that brings a whole new dimension to the world of fine cuisine. Gaston, an award-winning chef, asserts that they do not just cook for the rich. They must cook for the hungry as well. “Hunger and gastronomy are incompatible terms,” he claims. Soon we are watching as young adults stand in culinary institute set up in a poverty-stricken part of Peru’s cordillera, learning to cook from the masters. Gaston continues throughout the film to affirm the connection between cooking and social justice, and as the other chefs join with him an inspiring picture of a movement emerges. The rapid jumps from place to place, focusing on various cooks and dishes in Peru as well as Peruvian cooks abroad (L.A., London, Spain…) can be somewhat disjointing, but the nearly tangible aroma of wonderful cooking holds this film together. And the best part? Toronto has a fabulous Peruvian restaurant. So I was able to enjoy a lomo saltado afterwards. (I was embarrassingly giddy about every single item on the menu). This little gem has completely won me over. Of the 6 films I’ve seen so far, this one is the most beautiful. It is 14 minutes of sweeping lush emerald seas of green tea, close-ups of faces, withered and young alike, and detailed shots of the hands that carress this plant, from field to cup. The green tea harvesters from the Misiones region of Argentina are introduced to us, not as they would be in a novel, but more like a poem. We brush up against them, delving into character with very little exposition and plenty of feeling. As a cinematographer, the richness of the images wooed me. Though I have a sneaky feeling that the film may be too slow or too lyrical for most, I still love it. 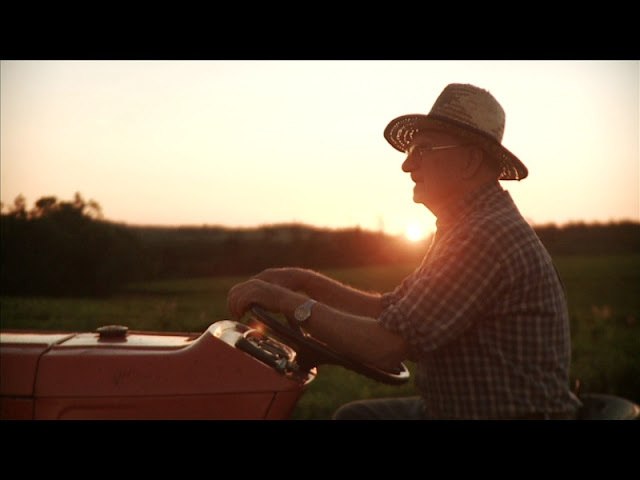 With music from the local radio carrying us along, the camera paints a visual snaphot in gorgeous natural lighting, skillful composition and an eye for detail and color. Unfortunately, as a short documentary, there is a slim chance that many people will have the chance to view this charming piece. The film, Sin Nombre, performs the age-old storytelling balancing act of communicating some truly horrific details in a beautiful way. As a cinematographer, I’m a sucker for beautiful movies. In fact, I can watch films that are perfectly orchestrated, wonderfully acted, and in all other ways superb, but if it is not visually captivating, I have a very hard time liking it. Sin Nombre won me over. The shots of immigrant stowaways lining the top of a moving train, set under the breathtaking sky and a Central American countryside bathed in golden magic hour hues… it was pure pleasure. Those shots in particular are reminiscent of Terrance Malick’s Days of Heaven, shot by Nestor Almendros, to which I will always and forever be comparing my own work. Sin Nombre delves into the lives of two Central American teens who, for very different reasons, end up on the same difficult journey to that promised land of Sam’s Clubs and Six Flags- the United States. Sayra, though we know very little of her story, has a melancholy beauty that, coupled with her earnest thoughtfulness, wins us over. But the character who we really invest ourselves in is “El Casper,” a boy fully entrenched in the gang life of the Mara Salvatrucha, but also attempting to have his own secret solace in the arms of his girlfriend, away from the violence of his daily existence. When these two worlds clash, the choices Caspar makes cause an upheaval in his world of predictable violence. The issues of gang violence and immigration are both addressed in a very personal way. These are not political experts handing out opinions, but simply the realities of the immigrant life. Story has a recognized ability to bring into accepted consciousness the kinds of realities that are so often blocked out when bogged down by the language of political dialogue. It is the snapshots, the moments of everyday life for the immigrant or the gang member that stay with the viewer. The perception of immigrants, not only in the US but throughout Central America is cleverly hinted at through the reactions of the village children as the train passes. Earlier in the trip, the kids toss fresh fruit to the passengers straddling the roof of their train to freedom. This is cruelly paralleled by the rocks thrown at the same passengers as they draw nearer the US border. And the power of gang psychology comes across in frightening clarity through the story of the young boy, “El Smiley,” who Casper recruits early in the film. His initiation cortes, thirteen seconds of beating by gang members, is a scene that chills to the bone, in particular because of his reaction to it. The film is a work of well-crafted storytelling, beautiful imagery, and thought-provoking issues. Fukunaga has produced a haunting piece of art and I look forward to his future films. 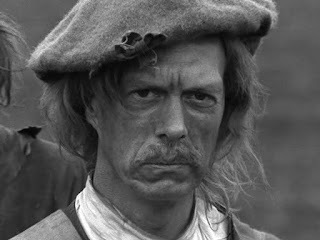 So ends Culloden, a before-its-time film that employs the documentary style to tell the story of a 1745 battle. Matthew and I recently discovered Peter Watkins. As a documentary filmmaker, I’m loving it. The obvious fact that this is a fictional re-telling of a historic event seems unimportant after only a few minutes. Newsreel-like shots and minute-by-minute storytelling draw you in. His interviews and slow, probing shots of characters faces work largely because they are non-actors (who he chose based on the look of their faces). In particular Watkins has a talent for turning the story on the audience. As C.S.Lewis might say, Watkins “smuggles” truth past our preconceived ideas through storytelling. The War Game, the most controversial documentary to ever win an Academy Award, was banned from television for 20 years. 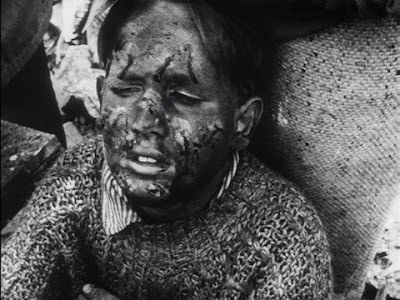 For governments trying desperately to convince their public that nuclear armament was necessary protection that could be handled responsibly, this portrayal of Britain in the aftermath of a nuclear strike is devastatingly real. We have seen photos of Japanese children deformed by the Bomb, but we have not seen British children blinded by the nuclear flash. We have seen German citizens mourning their dead, but not British fathers huddling with their families for protection from the blast. Watkins strips all wishful thinking and government issued descriptions of what a nuclear bombing would look like and takes us on a documentary/newscast tour of the reality. It is the only documentary I have ever seen set in the future and it is fantastically done. Peter Watkins is a master of his craft. And the staged documentary is my new obsession. Next up- 5 hours of La Commune.